* Mariell's breathtaking wholesale Bridal Headband glistens with shimmering Austrian Crystals in a beautiful braided design. * The headpiece is brilliantly plated in sterling silver. * Embellish any bridal hairstyle with this wedding headband which can also be worn as a beautiful tiara. * Mariell's magnificent Wedding Headband glistens with 12" of shimmering Austrian Crystals in a beautiful braided design along the band. 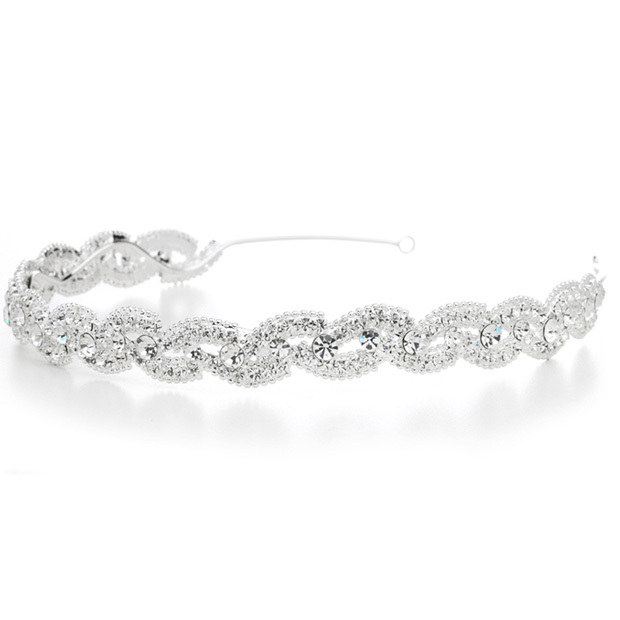 * The 5/8" w headpiece is brilliantly plated in sterling silver & has loops on the ends to also wear as a gorgeous tiara.